Patients at two of Norway’s largest hospitals can now find respite in Snøhetta’s newly unveiled Outdoor Care Retreats. 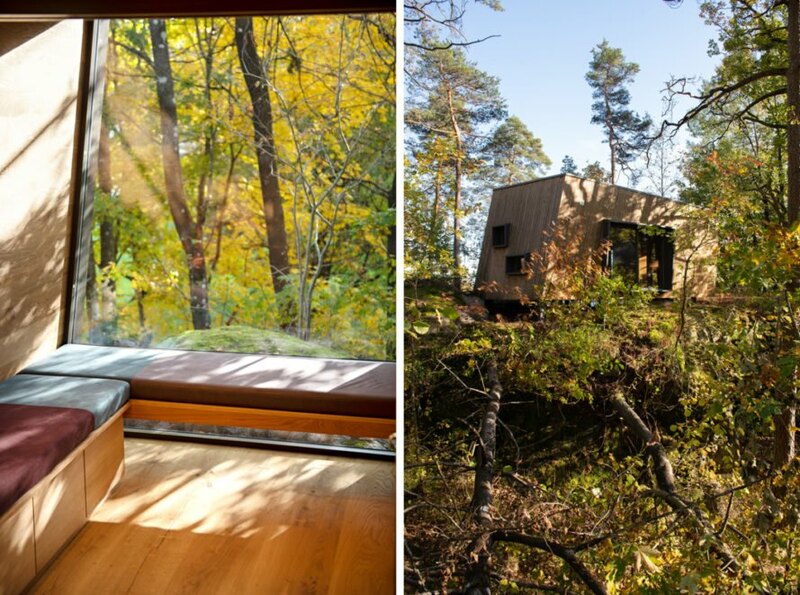 Designed for the Friluftssykehuset Foundation, the forest retreats offer a calm getaway where patients and their loved ones can benefit from the therapeutic qualities of nature. 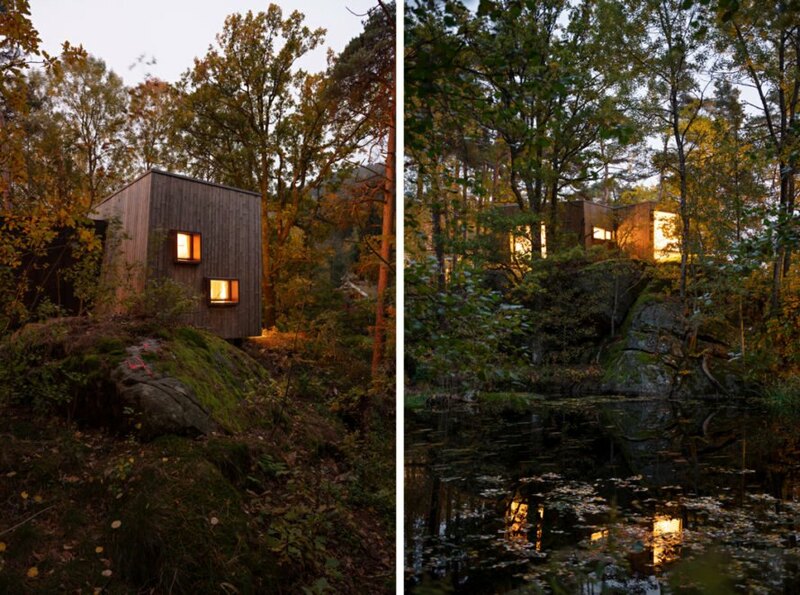 One of the retreats is located about 100 meters from the entrance of Norway’s largest hospital, Oslo University Hospital, Rikshospitalet, while its sister building is set near a woodland pond by Sørlandet Hospital Kristiansand in the South of Norway. 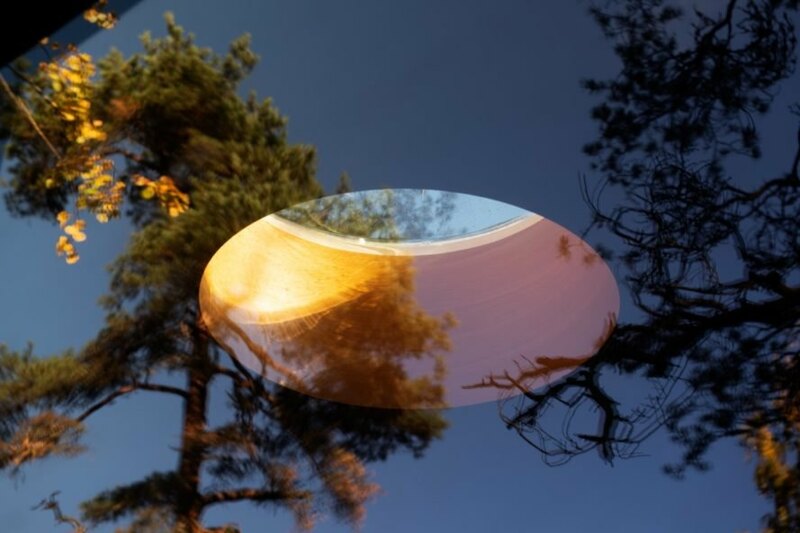 Originally developed in collaboration with the Department of Psychosomatics and CL-Child Psychiatry at Oslo University Hospital, the Outdoor Care Retreats are open to all patients of the hospitals and can be reserved through a booking system. 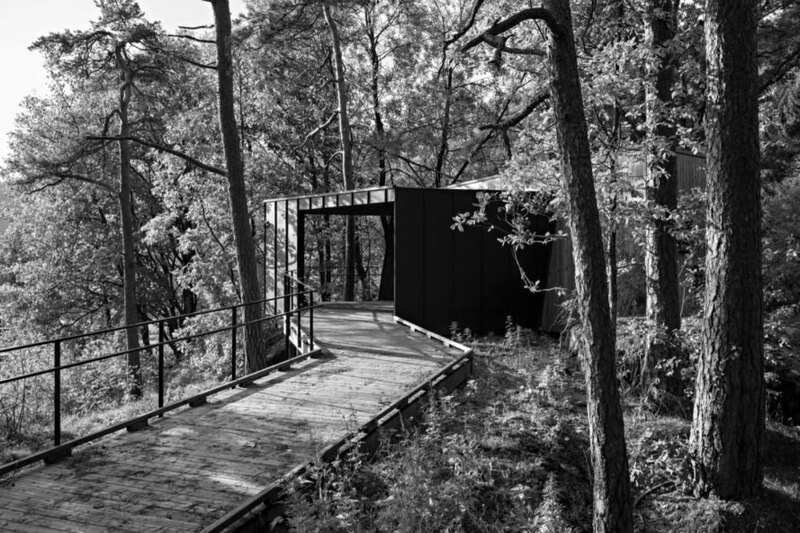 In contrast to the hospital architecture, the cabins take inspiration from nature and consist of tree branch-inspired asymmetrical floor plans and a timber material palette that includes an interior sheathed in oak. Large glass windows overlook views of nature and can be opened by guests. Both buildings — which measure approximately 35 square meters in size — include a main room, a smaller room for conversation and treatment and a bathroom. Each cabin is site-specific to minimize impact on the site and is designed to be accessible for people who use wheelchairs. The entrances are also wide enough to accommodate hospital beds. The exterior timber cladding will develop a patina over time to blend the buildings into the forest. Snøhetta has unveiled beautiful new forest retreats for two of Norway's biggest hospitals. The cabins are designed for patients and visitors of the hospitals. Cozy interiors are punctuated with large windows for guests to enjoy serene forest views. The cabins are illuminated with natural light. Each cabin is site-specific and wheelchair accessible. The retreats embrace nature as a form of healing for hospital patients.